245 Amity Road, Woodbridge, CT. Please call 203-688-1010 to make an appointment! No health insurance? Call 203-688-4562. No MD? Call 203-688-2219 to enroll into the grant program. Progressions host an annual fundraiser to benefit breast cancer research. During this month long event in October, Progressions sells raffle tickets for a wide variety of merchandise donated by over a two dozen local businesses. A special day of beauty "Pampered in Pink" is held on the last Saturday in the month of October. 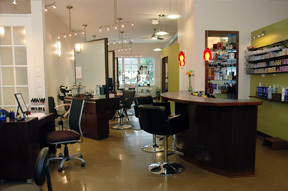 The salon offers several select services for a donation. Survivors are invited to be “Pampered in Pink” no donation required. Future professionals from area cosmetology schools volunteer their time to provide these select services to all our guests. 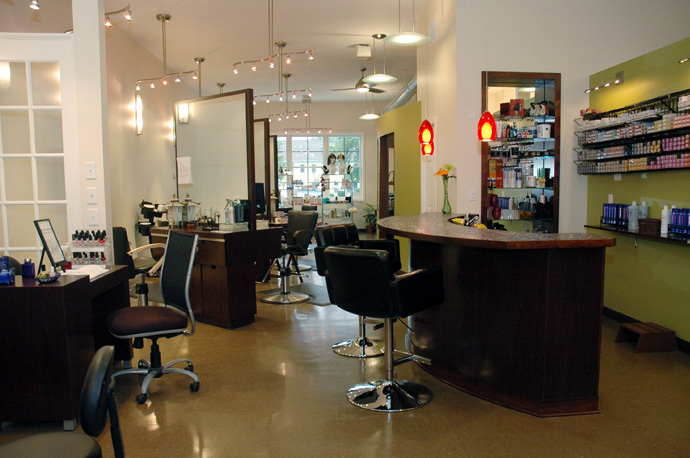 The salon donates a percentage of all retail sales and all the proceeds from raffle sales and pampered services to breast cancer research. The staff dresses up in costumes for added fun in an all-out Halloween extravaganza; all are invited to visit the salon. Refreshments are served; contributions are accepted for donation to this very important research. Inquire for more details. 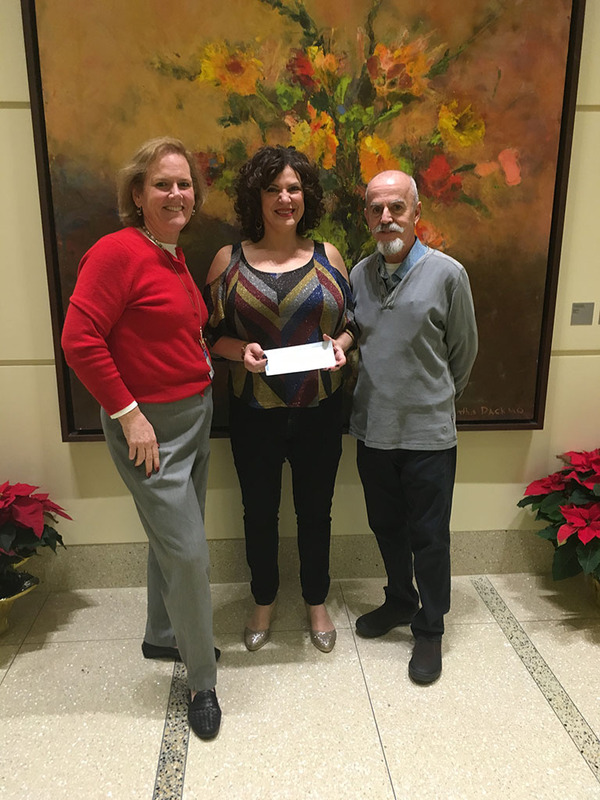 Stephanie and Mario deliver the proceeds from their very successful Pampered in Pink fundraiser to Maureen Major-Campos, Clinical Program Director at the Smilow Cancer Hospital. Our Annual Sock Drive benefits the Human Services Department of Woodbridge. Started many years ago by Mario and Stephanie, all are encouraged to donate a new pair of socks for a man, woman or child during the holiday season. New socks aredistributed throughout the area along with holiday baskets to those families less fortunate. Co- Owner cosmetologist Stephanie is a volunteer and participates monthly in the Look Good Feel Better program provided through the American Cancer Society offered at various hospitals and cancer centers throughout the state. Workshop information is available at the salon for anyone whom may be interested or knows someone, please contact us. Look Good, Feel Better’s mission is to help improve the wellbeing and confidence of people undergoing treatment for any sort of cancer. They do this by providing free information and workshops for women, men and teens to help manage the appearance-related side-effects that may be caused by cancer treatment. Workshops are conducted by trained Look Good…Feel Better volunteers from the cosmetic, hairdressing and beauty industries, who share their tips and techniques for minimizing side-effects such as skin changes and hair loss. Each workshop participant receives a complimentary confidence Kit and instruction guide, generously donated by the cosmetic industry.